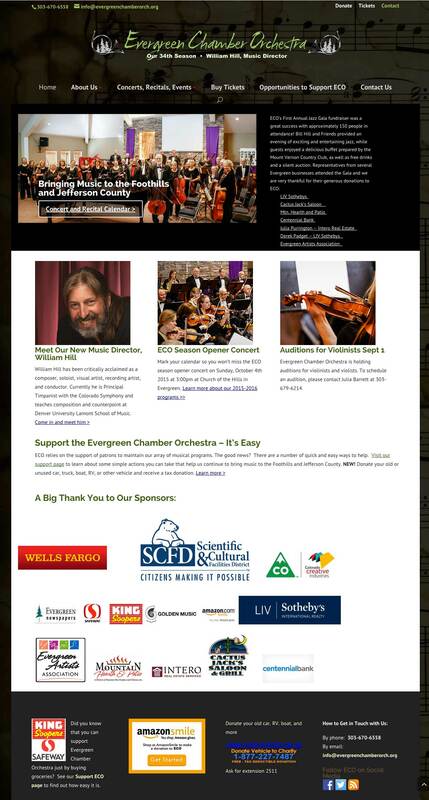 The Evergreen Chamber Orchestra (local to Websites for Good) has performed continuously in Jefferson County for the past 33 years, bringing beautiful music to our mountain community and showcasing gifted local musicians. They are a local treasure. 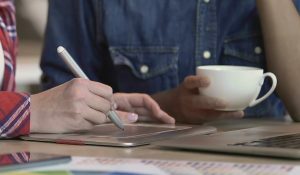 ECO operated a bit under the radar in our area, and this new-and-improved website gave them the ability to re-introduce themselves to the community in a colorful, engaging splash. The 100% self-manageable nonprofit site allows them to highlight upcoming concerts and rehearsals, shout out to sponsors and donors, sell more tickets, connect to social media, and much more.